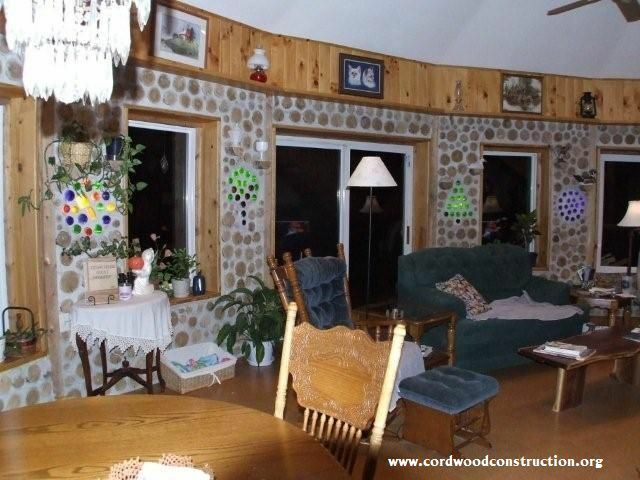 However, combining round and rectangle cordwood styles provides the best of both worlds. Don Gerdes an engineer from Reedsburg, Wisconsin built a post framed “curved front” attached to a rectangle. Here are some pictures of his beautiful creation. Cathy Hubbart and Don Gerdes. The interior shows off Don’s Brilliant Bottles invention (which light up at night) and its curved walls. Brilliant bottles are made ahead of time as a single unit to mortar into the wall. They boast a changeable LED light in the middle. Plowing snow is easier with a straight line. The workshop garage doors make it easily accessible. Hanging cabinets on straight walls is a breeze. From curved to rectangle is a smooth transition. Octagon with a “square” back room. 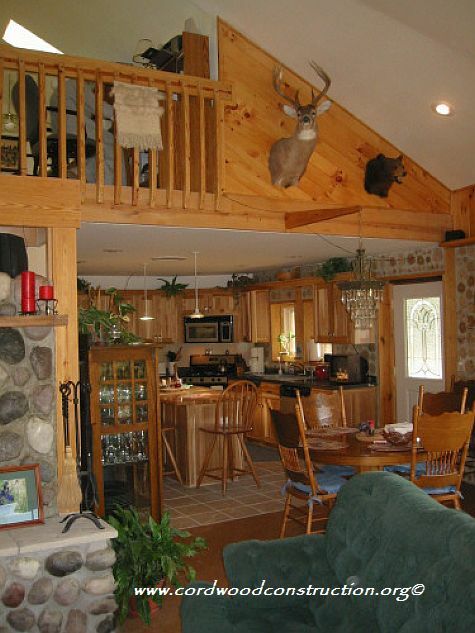 Rainless’ B and B in the Adirondacks. Post framed, curved front with a rectangle on the back, a masonry heater and two stories high by Sebastien Demers. A 3D model with a round front and a rectangle on the backside by Sebastien Demers of Quebec. Round, Rectangle, Octagon, or 16 sided? 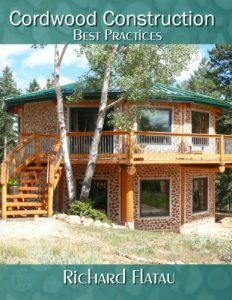 When deciding which style of cordwood to build it is of the utmost importance to know that every cordwood author recommends building within a post framework. The reasons are very simple: 1. 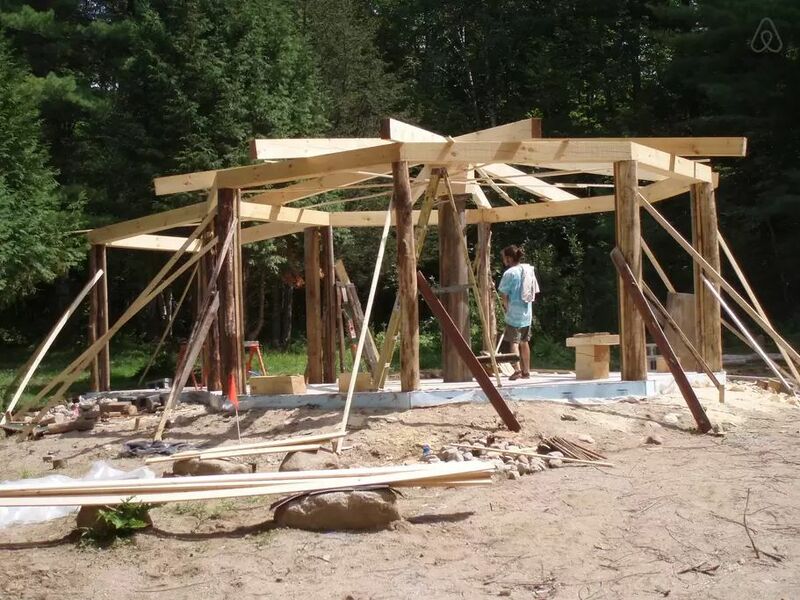 The roof can be built before the cordwood is finished. 2. With the roof on, the materials stay dry and so do the builders. 3. 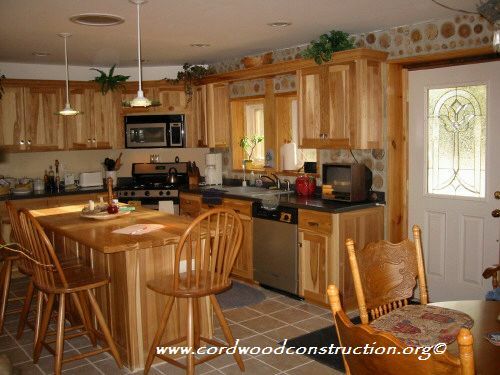 The cordwood wall building can be completed in manageable sections. 4. You can cover the walls that remain unfinished and continue interior work. 5. It makes the building inspector very happy. 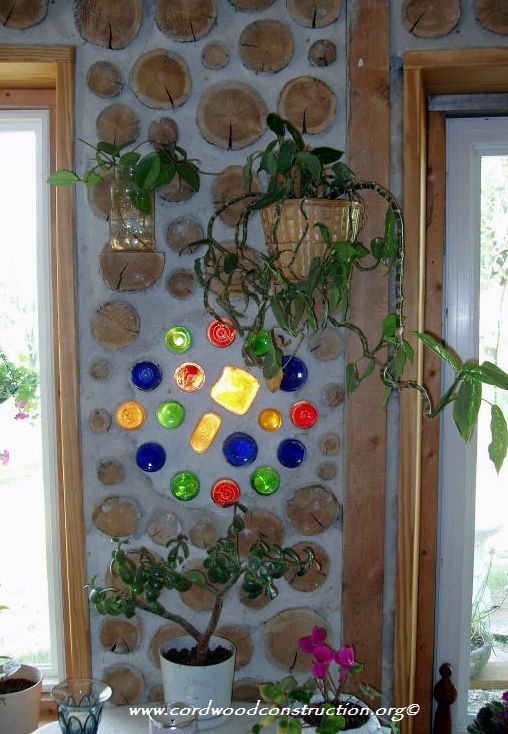 Even if one decides to “go round,” a framework can be hidden in the middle of the wall using wraparound cordwood. Why would anyone build a hidden framework within the structure? 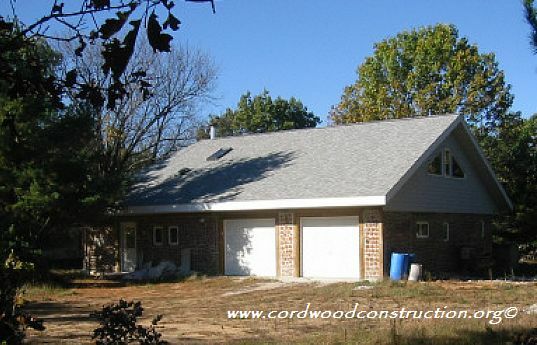 To get code approval, to make certain the roof is going to be properly supported and to allow for the use of a “slower setting mortar” which reduces mortar cracking and log loosening. 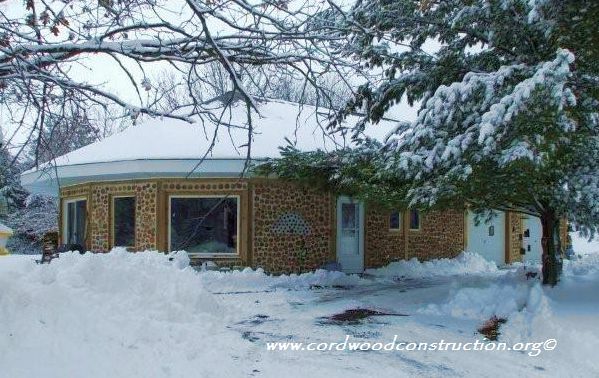 16 sided cordwood creates a large number of 11 degree cuts: The roof sheeting, the roofing material (metal or shingles) and the many valleys that accompany 16 sides. Then the interior ceiling the interior flooring and the interior cabinetry all require angle cuts. 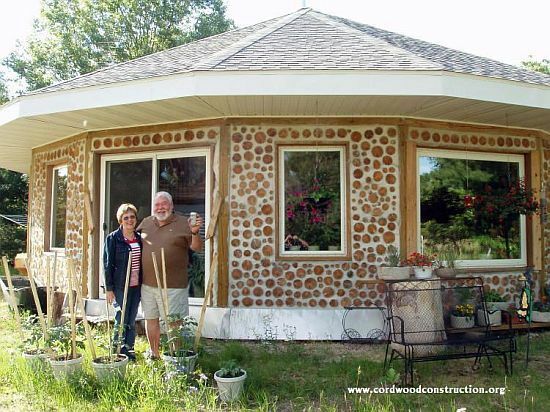 The cordwood itself will end up having small, tight mortar joints on the inside and larger ones on the outside. 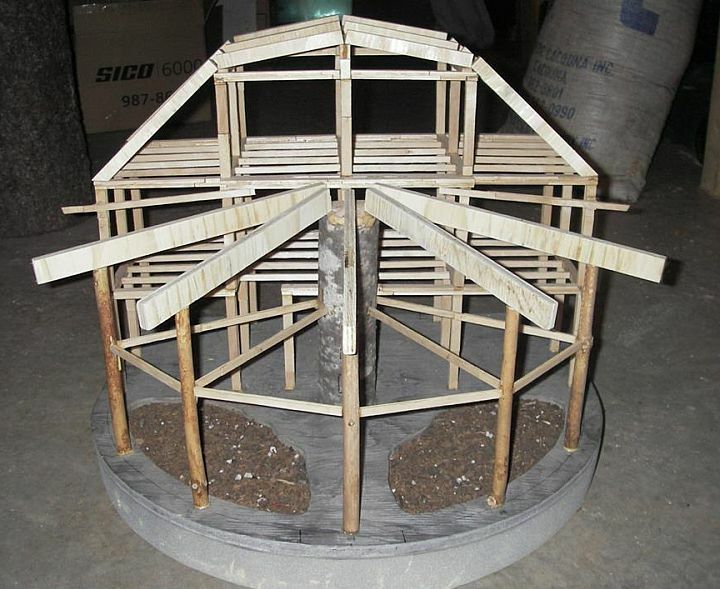 If you decide to build an 8 sided octagon, keep in mind that you will need to re-engineer the structural parts (think posts and rafters) if you want to go larger than 300 sq. ft. One way to get the curved and the straight to work together is to build a half round, half rectangle home. Bottom line, the choice is yours. 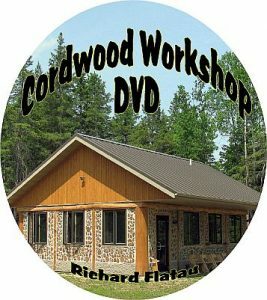 If you plan to build 16-sided cordwood, you can do yourself a favor by checking out the successful 17 page building permit application for a 16 sided cordwood home in SE Minnesota. 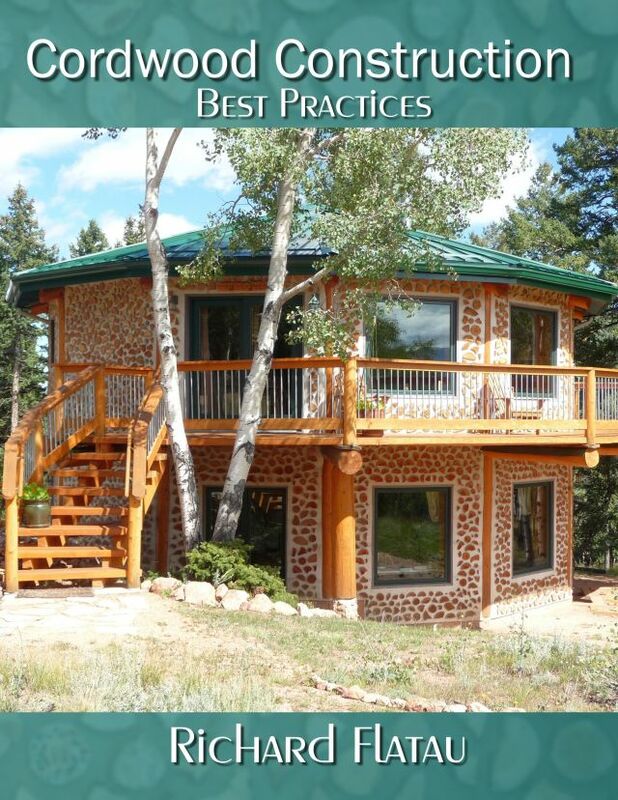 The approved permit is, in its entirety, in the book Cordwood and the Code: A Building Permit Guide. 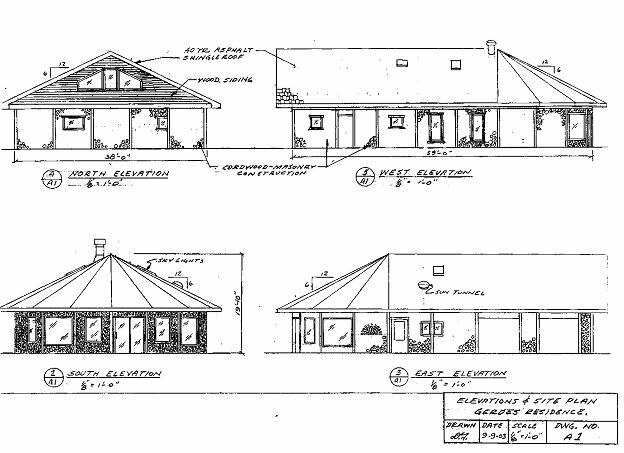 It is meant to be copied and pasted and modified for your local building codes. 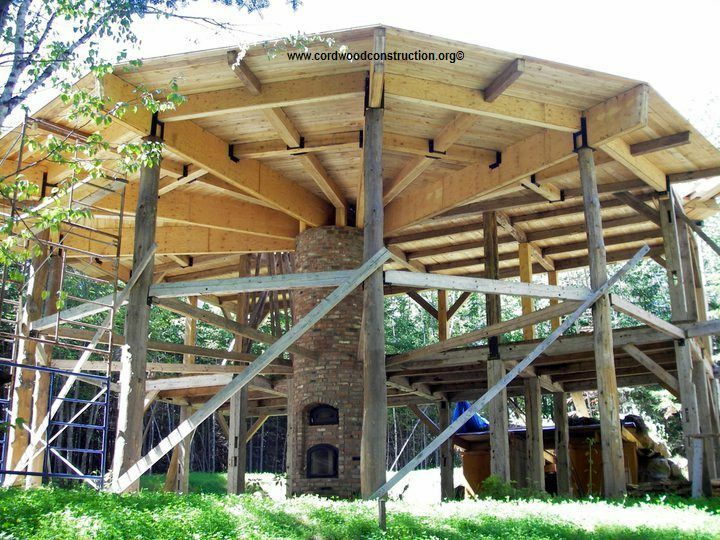 This beautiful round cordwood guest cottage, by Bruce Kilgore and Nancy Dow has a post and beam framework hidden in the middle to support the roof.